Innovation @ PLM Innovation 2012 ? I am just back from an exciting PLM Innovation 2012 conference. With a full program and around 250 participants, it was two intensive days of PLM interaction. What I liked the most is that the majority of the audience was focusing on PLM business related topics. The mood of PLM has changed. In this post, I will give an impression of the event, how I experienced it without going into the details of each session. Several interesting sessions were in parallel so I could not attend them all, but MarketKey, the organizer of the conference confirmed that all presentations are filmed and will become available on-line for participants. So more excitement to come. Gerard Litjens (CIMdata Director European Operations) opened the conference as CIMdata co-hosted the conference. In his overview he started with CIMdata’s PLM definition – PLM is a strategic business approach. (Everyone has his own definition as Oleg noticed too). Next he presented what CIMdata sees as the hottest topics. No surprises here: Extension from PLM to new industries, extending PDM towards PLM, Integration of Social Media, Cloud, Open Source, Enterprise integration and compliance. Next speaker was Thomas Schmidt (Vice President, Head of Operational Excellence and IS – ABB’s Power Products Division) was challenging the audience with his key note speech: PLM: Necessary but not sufficient. With this title it seemed that the force was against him (thanks Oleg for sharing). Thomas explained that the challenge of ABB is being a global company and at the same time acting as a ‘local’ company everywhere around the world. In this perspective he placed PLM as part of a bigger framework to support operational excellence and presented some major benefits from a platform approach. I believe the Q&A session was an excellent part to connect Thomas’s initial statements to the PLM focused audience. I suddenly got into a trance and saw a TV advert from a new washing power, with numerous features (program management, new product introduction, …..) that was washing whiter than all the others and a happy woman telling it to the world. I believe if Autodesk wants to be considered as serious in the PLM world it should also work with existing customers and managing the change in these organizations. Usually it takes already more than two weeks to get them aligned and agree on the requirements. Unfortunate I did not have time during the breaks to meet Autodesk at their booth as I would love to continue the discussion about reality as my experience and focus is on mid-market companies. Waiting for a next opportunity. After Autodesk, I presented in my session what are the main drivers for making the case for PLM. I also started with my favorite PLM definition (a collection of best practices – 2PLM) and explained that PLM starts with the management vision and targets for the future. Is it about efficiency, quality, time to market, knowledge capture or a more challenging task: creating the platform for innovation? Next I followed the Energy tracks, where I listened to Charles Gagnon from Hydro Quebec, who gave an interesting lecture called: Implementing Open Innovation and Co-Development. After the lunch I continued with Jonas Hagner from WinWinD, a young manufacturer of windmills that are targeted to operate in extreme climate conditions ( a niche market). They are both implementing PLM and ERP in parallel and they did not have to suffer from years of ERP before PLM and therefore could have a more balanced discussion around part information availability / part number and more. Still I believe they have the challenge to connect in an efficient manner the services of the windmills back to their R&D organization, to do a full PLM circle. Karer consulting together with Siemens Energy presented the case how they have designed and starting the implement the interface between their PLM system (Teamcenter) and ERP system (SAP). What was disappointing to see was that the interface between Teamcenter and SAP was relative complex (bi-directional with engineering activities in both sides) . Almost 1½ years of development of this interface and one of the main reasons, because SAP was first and they start the engineering order in SAP. Apparently 2 years later Siemens Energy could not implement a clear distinct separation between PLM and ERP anymore and will not have to live with this complex interface. In the past I have written several times about this complexity that companies seem to accept due to political or historical reasons. Sad story for PLM – Where is the MBOM ?. Thanks to Autodesk we had a nice evening reception, discussion and evaluating with peers the first day. Day 2 started for me with an interesting lecture from Peter Fassbender, Head Design Center Fiat Latin America, describing how in Brazil the Fiat Mio experiment used modern social media techniques, like crowdsourcing, communities and user involvement to guide the innovation and development of a potential car. A unique experiment demonstrating that this type of projects are influence the brand reputation positively (if managed correct) and for me an example of what PLM could bring if R&D is connected to the outside world. Christian Verstraete Chief Technologist – Cloud Strategy from HP gave an inspiring session about the open frontiers of innovation. The speed of business in the past 30 years has increased dramatically (you need to be from an older generation to be aware of this – the definition of response time has changed due to new technologies) Christian pushed everyone to think Out of the Box and to be innovative, which made me wonder how long will companies in the future build standard boring products. Will keep on innovating in this amazing pace as we did in the past 30 years ? Graeme Hackland, IT/IS director from the UK based Lotus F1 team presented the challenges a F1 team has to face every year due to changing regulations. I visited Lotus F1 last year and was impressed by the fact that over 500 engineers are all working around one carper year to optimize the car mainly for aerodynamics, but next to assure it performs during the years. Thousands of short interactions, changes to be implemented a.s.a.p. challenge the organization to collaborate in an optimum manner. And of course this is where PLM contributes. All the F1 fans could continue to dream and listen to Graeme’s stories but Jeremie Labbe from Processia brought us back to earth by explaining how Processia assisted Lotus F1 in a PLM value assessment as a next step. Meanwhile I had some side discussions on various PLM topics and went back to the sessions, seeing how David Sherburne, Director of Global R&D Effectiveness from Carestream Health presented his case (open source PLM) and his analysis why an open source PLM model (based on Aras) is very appealing in their case. Indeed the business value perceived and significant lower operational costs for the software are appealing for his organization and for sure will influence the other PLM vendors in their pricing model. Pierfrancesco Manenti, from IDC Manufacturing Insights gave a clear presentation indicating the future directions for PLM: managing operational complexity, not product complexity. As you could expect from IDC Manufacturing Insights all was well based on surveys in the manufacturing industry and clearly indicating that there is still a lot to do for companies to efficient share and work around a common product development and operational platform. New technologies (the four IT forces: mobility, cloud, social business and big data analytics) will help them to improve. The closing keynote came from Jason Spyromilio , who was director of the European Southern Observatory’s Very Large Telescope (http://www.eso.org) and he gave us the insights in designing (and building) the biggest eye on the sky. 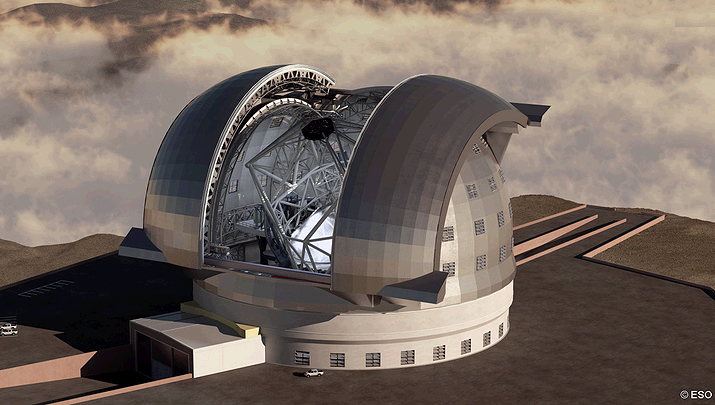 Precision challenges for such a huge telescope mirror, being built in the high mountains of Chili in an earthquake sensitive area demonstrate that all participants are required to contribute their IQ in order to realize such a challenge. Conclusion: This PLM Innovation 2012 event doubled the 2011 event from a year ago in all dimensions. Thanks to the sponsors, the organization and high quality lectures, I expect next year we could double again – in participants, in content and innovation. It shows PLM is alive. 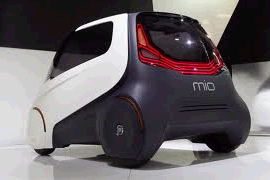 But comming back to the title of this post: I saw some interesting innovation concepts – now how to enabale them with PLM ? Note: looking at the pictures in this postyou will notice PLM is everywhere. I published this post on February 29th – a unique day which happens only every 4 years. In May this year my blog will be 4 years old. Really interesting write up and I’d echo the prediction that this conference can double in size again for next year! If you wish to follow Oleg’s recommendation and view the panel discussion on the future of PLM business models that took place at the conference just let me know and I will get the video recording over to you as soon as it becomes available. Great post Jos – very informative! So glad to find your blog. If you didn’t know, I am also an avid blogger as you’ll see in my signature below. Great stuff! 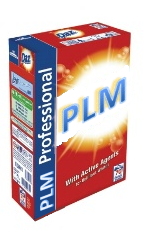 « PLM: What is the target?